Cairo’s Downtown Contemporary Arts Festival (D-CAF) is collaborating with the Tamasi Collective, Orient Productions, and Scotland’s Kenmure Productions to present a groundbreaking Arab Arts Focus program at the biggest arts festival in the world, the Edinburgh Festival Fringe. The project will, in many ways, be the biggest showcase of Arab work on an international stage. From contemporary theatre to visual arts, tantalizing dance performances to spellbinding talks, AAF will truly have it all throughout the duration of Edinburgh Festival Fringe. Indeed, from the 4th to the 27th of August, world class Arabic art will be showcased across three of the renowned festival’s most distinguished venues. The program will feature eight different performances by artists from Lebanon, Egypt, Syria, Palestine, and Morocco. It aims to increase awareness on the diversity of Arab art through challenging current stereotypes and encouraging positive discussions on the work of Arabic artists in an effort to create a wider understanding of the region at a time when it’s needed most. “The Arab Arts Focus in Edinburgh will present some of the finest new theatre work from the region,” enthused Artistic Director of D-CAF and General Manager of Orient Productions, Ahmed El Attar. “We hope that this creates room for underrepresented narratives to facilitate the possibility of future exchanges and collaborations between artists and institutions from the Arab world and those from Scotland and the UK.” It comes as no great surprise then that the performances on hand are as entertaining as they are provocative. “Love, Bombs, & Apples” will kick things off with a hilariously snarky portrayal of Muslim stereotypes during these troubled times. 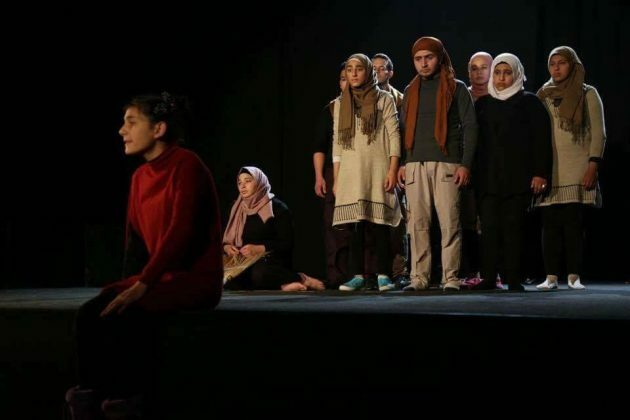 The Arabic tradition of storytelling and fables will be embraced by the thought-engaging “The Elephant, Your Majesty!” In it, a cast of teenage Syrian refugees will explore elements of identity and tragedy before a global audience at Edinburgh. Along the same lines, “Taha” will examine the real experiences of refugees through presenting the life of a celebrated Palestinian poet in a tale of sorrow, humor, resilience, and tender humanity. “Your Love is Fire”, on the other hand, will present a heart-wrenching portrayal of daily life in war-ravaged Syria through examining the inner conflicts of inhabitants in a story that sternly refuses to victimize its characters. “We hope that AAF will catalyze the participating artists’ careers, contribute to the development of the independent performing arts scene in the Arab region, and act as a platform where local and international audiences and artists can have meaningful exchanges concerning the interplay of art, geography, identity and society at this critical historical juncture,” affirmed Executive Director of Tamasi Collective, Amany Abou Zeid. Realistic humanism, if you will, is really at the core of the entire card. “Jogging” will present the touching story of a Lebanese woman in her 50s pacing through various roles, characters, desires, aspirations, and disappointments along the way in her daily jog. The complexity of human emotion will also be tackled in “Jihan’s Smile”, a child performance that tells the story of an ordinary child losing her smile and the arduous road to regain it. Contemporary dancing will be equally well represented on the thought-provoking card. “The Second Copy: 2045” provides a humorous look at the dynamics of Middle Eastern contemporary art in both the present and the future. “Mayhkomsh” and “Running Away” shall enchant audiences in a Palestinian/Egyptian double bill of modern dancing that focuses on identity, homeland, and societal pressures, all while questioning what it means to be Arab nowadays. 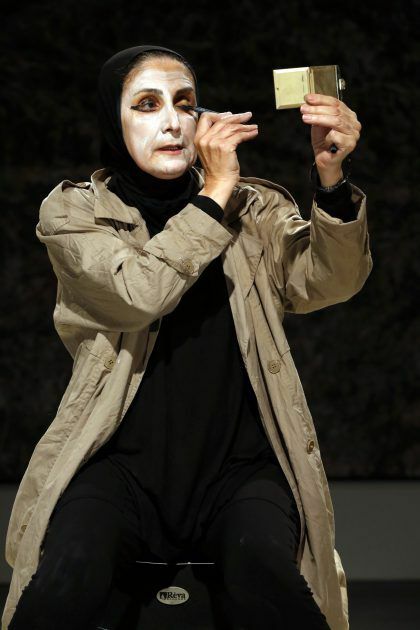 Algerian-born choreographer, Nedjima Haj Benchelabi, will also take audiences on a spirited journey through curating a weekend of spectacular contemporary dance. And if that wasn’t enough, the AAF program will even feature a cabaret! 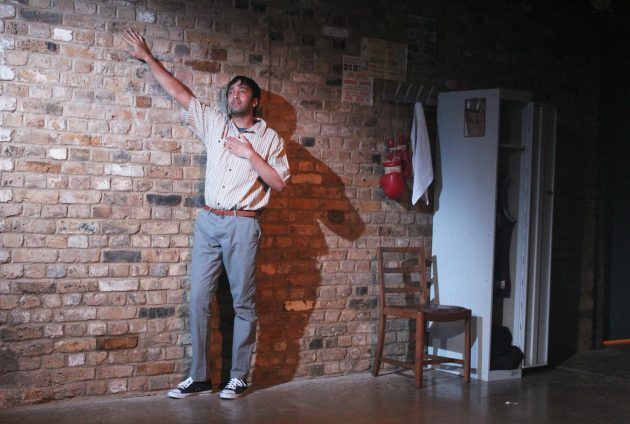 “Chill Habibi” will allow audiences to kick back and relax, all while enjoying an electric mix of theatre, comedy, dance, and music from Egypt, Syria, Palestine, Morocco, and Scotland.